At this point in time, I cannot imagine life without oil painting. It’s something I do every day, and have since I can recall picking up a brush. My work is founded on 19th century and early 20th century traditions in American landscape painting, grounded in drawing. I do not work from photos, as a rule, and prefer to work on location, always in search of new vistas and expeditions. I paint with, and prefer with traditional materials that are sourced from nature: pigments and paint derived from minerals, plant and animal material: linseed oil and linen, derived from flax; marble dust, turpentine, natural brushes. The craft of painting, taking advantages of oil paints luminosity and rich color, is a rich heritage with a long lineage. Christine Enochs grew up in Jackson, Mississippi. Having an artist mother, she had an early education in drawing, painting and general creativity. She went on to earn a Bachelor of Fine Arts degree from the Savannah College of Art and Design in Georgia. Having since lived in the mountains of Western North Carolina, primarily Asheville, she has become an outdoor enthusiast and naturalist. Her landscape paintings are representational of the area as well as her travels. Christine’s style can be described as loose realism, as she is focused not only on accurate representation, but vibrant color interpretation as well. Christine’s paintings can be found in several corporate and private collections across the U.S. She has received numerous awards and recognitions, and shows her work in Asheville and across the Southeast. Paul Blankinship grew up in Virginia and North Carolina, shunning the company of grown-ups for that of forest, swamp and open water. He still delights in these places. They give him scenes to portray as well as materials to draw and paint with. Many of his paints come from the ground; his pens stood in the canebrake or flew overhead, and his inks ripened in the walnut grove nearby. Blankinship took degrees from The College of William and Mary and Duke University. He then studied drawing and painting at The Fine Arts League of the Carolinas. His work is collected in the United States and the United Kingdom. Good art reveals nature; it does not run from nature. Dana Irwin is a painter and graphic designer from Asheville, NC. After receiving a BFA in graphic design at the University of Georgia, she did post graduate studies in fine art at Tyler School of Art in Pennsylvania, the Art Students League of NY, School of Visual Arts in NY, the Pythagorian School of Art in Samos, Greece, and California College of Arts and Crafts in Oakland, CA. Her career in publishing spanned from NY to CA to NC, designing and illustrating books and magazines. She currently has an art studio and a graphic design studio at her home in the Montford neighborhood of Asheville. Her paintings reflect her love of light and form found in nature through the mediums of watercolor, graphite and acrylic. Jason Rafferty is a young professional artist based in Asheville, NC. For his whole life he has been passionate about drawing and painting, and continues to pursue contemporary classical training and master-apprentice instruction. His local studies include working in the school of Fresco painter Ben Long IV, apprenticing with landscape painter John Mac Kah, studying with Luke Allsbrook, Robert Tynes and Scott Lowrey at UNC Asheville, and taking workshops with Nicholas Raynolds and Rebecca King. For the last four years he has also studied drawing and painting at Studio Escalier in France, working with internationally sought-after instructors. Jason is a recipient of the prestigious Elizabeth Greenshields Foundation Grant, awarded to promising emerging artists working in the representational style. When he is not drawing and painting, Jason can be found playing guitar and enjoying the company of friends. Sarasota, FL, the artist became a private student and assistant to Mr. Leslie Posey, a nationally acclaimed sculptor and ornamentalist. During the late Mark studied design in nature and the human form, ornamental architecture, casting and mold-making using traditional methods. ln the early 19805 he worked and studied under Ted Nightwine, the chief conservator ofthe Ringling Museum of Art in Sarasota, learning framework restoration. A twist offate led him to Hagenbeck/Wallace Inc., the company that designs and builds props for the Ringlìng Brothers Circus and Disney lee Shows, where he held the position of Associate Designer. Over the next few years, Mark divided his time between the Ringling Museum as a frame conservator and Hagenbeckaallace while continuing to pursue his passion, Florida and North Carolina landscape painting. The artist’s dedication to the vanishing natural vistas of these unique areas is clearly evident in each of his works. The mountains have lured the artist by way of their power and beauty, and the Hem-ys now live in Weaverville, NC. Along with his love of painting, Mark is presently designing and crafting original frames for his paintings. numerous private collections in the United States and abroad. Bryan Koontz resides near Asheville, NC. He has pursued art in one way or another since his youth. These early explorations into painting and drawing helped guide him in pursuing a career in the graphic arts. He graduated with a B.S. degree in Commercial Design from Appalachian State University in Boone, NC, 1985.
and still life, and American and European Romantic and Pre-Raphaelite painters for portraiture and figurative work. He has also been strongly influenced by the great American Illustrators of the turn of the Century. He considers that he will be gleaning and learning from this wealth of work for the balance of his life. Currently, he works at his studio, Shepherd’s Mountain, as a fine artist, illustrator and freelance graphic designer. 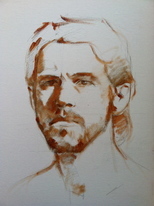 Bryan employs many different media, including graphite, charcoal, silver point, pen & ink, watercolor, and oil painting. He uses time tested traditional methods and archival materials to produce works of art that will be enjoyed for many generations. I am a self-taught artist living and working in Asheville NC. Inspired by the French Masters of the late 19th Century, I favor the wet on wet approach of oil painting "alla prima"; emphasizing tonal relationships and sound draftsmanship with broad sweeps of a loaded brush. Painting from life is challenging and often unforgiving, but the sense of immediacy it endows a painting is invaluable. Working from the round creates an intimacy between the subject and myself. This personal connection is paramount, and I can't get that working from a photograph, isolated in a studio. Caleb Clark was born in the Northeast Kingdom of Vermont in 1987. Raised in rural surroundings, his childhood was marked by a close proximity to nature that has grown to define his identity as an artist. In 2005 Caleb studied intaglio printmaking in Florence, Italy at Il Bisonte International School of Graphic Arts. He then moved to Asheville, NC and immersed himself in Asheville’s Fine Arts League of the Carolinas, studying the traditions of the old master artists of Europe and eventually studying under the school’s founder, Benjamin F. Long. Caleb continues to live and work in Asheville. Matthew Good is a current resident of Asheville, raised in Hickory, NC. As a promising artist in his early twenties he became acquainted with Ben Long IV. For the better part of the last decade Good has studied in the master apprentice tradition with Long, learning both master techniques in oil as well as fresco and drafting. His work is grounded in traditional renaissance style , shrouded in a deeper darker brooding pallet yet reflects a youthful modernism in its subject matter. creates an intimate interpretation of the landscapes around us. Her luminous, atmospheric paintings capture the subtle light and rich colors of nature. Jonesboro Storytelling Center in Tennessee. Deborah currently works from her studio in North Carolina. many solo exhibits. 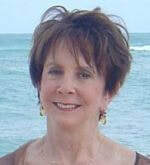 Her work can be found in galleries and private collections throughout the United States. sculpting, painting, and developing sets to make them come to life on the big screen. Wonder Boys, and We Are Marshall. career and relocated to Asheville to study at The Fine Arts League of the Carolinas. The creative arts have been a constant theme through Cecil’s life and he brings that sensibility to his governing decisions. His plastic arts include sculpture, ceramics, wood carving, cartoons and most particularly, and recently, painting in oils. 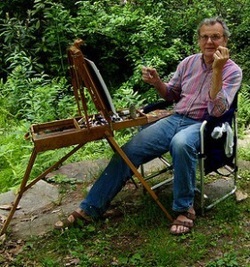 He has studied landscape painting with master artist John Mac Kah in the River Arts District since 2006, and has had a few one-person shows around WNC. Originally from upstate NY, Webster was awarded a scholarship to attend college at School of Visual Arts in NYC and graduated with a BFA in painting. By 1996, Webster relocated to Asheville, North Carolina. In the years following she transitioned from pure studio painting to painting en plein air (directly from life outdoors). In her own words, “Once I took my easel outdoors I was hooked. The mountains and natural beauty outdoors inspires me to get out there and be intimate with nature. My paintings are a reflection of that experience.”In 2003, Webster was awarded a Regional Artist Project Grant from Asheville Area Arts Council. 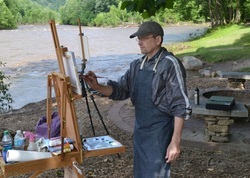 Webster is a signature member of the Western North Carolina Plein Air Painters (WNCPAP). Webster’s work can be found in many private collections including Memorial Mission Hospital, Asheville Area Chamber of Commerce and First Baptist Church in Asheville, NC. Brennen McElhaney was born in 1968 in Santa Barbara, California. He studied fine art and illustration at the Rhode Island School of Design and graduated with a Bachelor of Fine Arts degree in 1990. Back in California, Brennen married Sheila Springer in 1992. As newly-weds they had the opportunity to run a fine art gallery for a time. Brennen went on to have one-man art shows at the Delphine Gallery, the Hahn-Horn Gallery, Gallery 113, the Faulkner Gallery, Sterling K Gallery, the University Club of Santa Barbara, Antioch University and the Gallery Off Grand (Los Olivos, Ca.). During that time he served on the board of directors of the Santa Barbara Art Association. In 2005, Brennen, along with his wife and their three children, relocated from California to Western North Carolina. They live in Fletcher (Asheville) NC. He is currently working on a series of landscape paintings of Western North Carolina, and the surrounding areas. Mr. McElhaney is creator and curator of the website AVLarts.com which promotes the visual arts in the Asheville area by listing a directory of local artists, galleries and art resources. Brennen works as a freelance illustrator and art director, his main client being Oodles World, an Asheville based, family entertainment company. Brennen is a signature member and president of Western North Carolina Plein Air Painters, and is a strong advocate of the arts in the Asheville area. Born in England in 1946, Rachel Clearfield was a self-taught child prodigy. As a young girl, she composed poetry and illustrated her poems with beautiful paintings. After completing high school she decided on a career in art and was educated at the Newcastle College of Art and also the Manchester College of Art. The artist calls her present mode of painting “classical visionary” inspired by the legendary masters of the Renaissance. Although the roots of her technique reflect the classics her messages are contemporary. She is immersed in the vision of planetary healing for all elements of nature and species of existence. Since moving to Asheville in 1990, she has been shown in the Blue Spiral Gallery, the Broadhurst Gallery, the Merrimon Gallery and most recently in the Discovery Gallery in Washington, DC. Rachel is an avid flower gardener and paints directly from the beauty which surrounds her home in the mountains of Western North Carolina. drawing and painting as an alternative to TV-watching during the long, long winters. A remarkable art teacher through high school years helped her win a small scholarship prize and sent her off to college with the expectation of pursuing an art career. But as happens, other interests prevailed and she instead had a long career in book publishing before coming to her senses and returning to art.A watercolor class with Sandra Moore sparked an interest in that medium that has never waned. She loves the freshness, spontaneity, unpredictability, and surprises that come with every painting, and she finds watercolor wonderfully appropriate for the spectacular scenes that our southern Appalachians offer. Tess graduated in 2013 from the University of North Carolina with a Bachelors in Fine Art and a Minor in Psychology. Her career as a professional artist began in between school hours. The gallery/studio space in the River Arts District, called WhiteSPACE, allowed Tess to expand her creative capabilities from 2012 to 2014. Her studio since 2014 is conveniently at home, while she works as a full time Sales Representative at the Grovewood Gallery. Tess' most current pieces can be seen at this gallery. For most of her work, Tess looks to the internal psyche. Isolation is represented in solitary figure who becomes abstracted into the environment of the painting. As a result of travel, she began to portray the grandeur of the natural world into pen and ink drawings, as well as acrylic paintings. Lately, her encounters with wildlife within state and national parks inspires a mesh of realism and abstraction. These two elements conceptually coexist within each piece as a representation of human and animal; one is not present without the other. Tess currently resides in Asheville, NC. 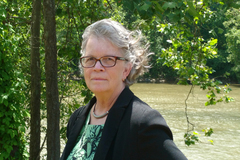 Alison Webb has lived in Western North Carolina for eleven years. 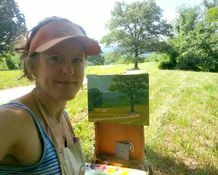 She travels widely, painting on location as well as in her studio in Asheville. 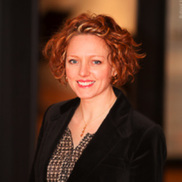 Raised in the mountains of Tennessee, Alison Webb was educated at New York University, The University of North Carolina at Chapel Hill and Skidmore College. Her career in the textile industry as a design forecaster and color expert allowed her to work creatively in the global fabric world.She has studied at the Fine Arts League of the Carolinas; Art Workshop International, Assisi, Italy; Peninsula School of Art, Door County, Wisconsin,and with John Mac Kah, Asheville. She studies under Mark Henry, Weaverville Fine Art Studio.Her work has been shown locally at Alexander & Lehnert in the Grove Arcade, the Corner Kitchen, and is currently available at the Desirant Boutique, Downtown Asheville. Mohamed El-Sabaawi began his art studies as a young man in Alexandria, Egypt under Seif Wanly, who introduced modern art to Egypt. Mohamed envisioned a life as an artist, but family pressure resulted in a detour from art into medicine. 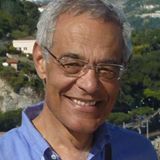 After practicing psychiatry for more than three decades in the United States, Mohamed re-immersed himself in fine arts, refining his training in the company of well-known American painters in the artists’ colony of Asheville, North Carolina. In 2012, he moved from Washington, DC to Italy and opened an art studio in the seaside town of Bordighera. In his work, Mohamed identifies the emotional essence of each subject—human, animal and landscape—and interprets it through the use of light and dark, of color and its temperature, and his sensitive emphasis of certain elements in each subject. His work, which he describes as creative realism, has been characterized as captivating and soulful, uniting the truth of a purely visual representation with the nuance of psychological and spiritual insights. Growing up in the mountains of Western North Carolina, spending much time in the outdoors, and hiking with my family has instilled in me a great appreciation for the beauty of our mountains and surrounding landscapes. I have always had the desire to depict my interpretation of this beauty onto canvas. More of my inspiration comes from the works of the great American painters of the Hudson River School of the late 19th century such as Thomas Cole, Albert Bierstadt and Frederic Church. After spending a few years in a beginner’s class, I realized that I had the overwhelming desire to paint more realistically. I began taking classes from local artist, John Mac Kah at his private studio in 2008 and have been studying there since. Through studying with John, I have learned the old master’s techniques of using traditional gesso, making my own panels, and painting with traditional oils. I believe my talent and the beauty of this creation surrounding me is an invaluable gift from God that should not be taken for granted. It is my hope that my artistic interpretations of this beauty will spark some meaningful memory and bring a sense of joy to those who view it.